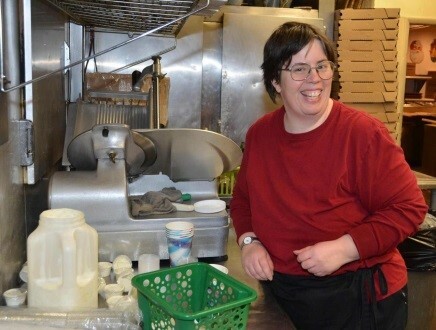 Avenues To Independence has developed a number of service & programs which aim to create meaningful opportunities for adults with developmental disabilities and to provide our local communities with valued services. 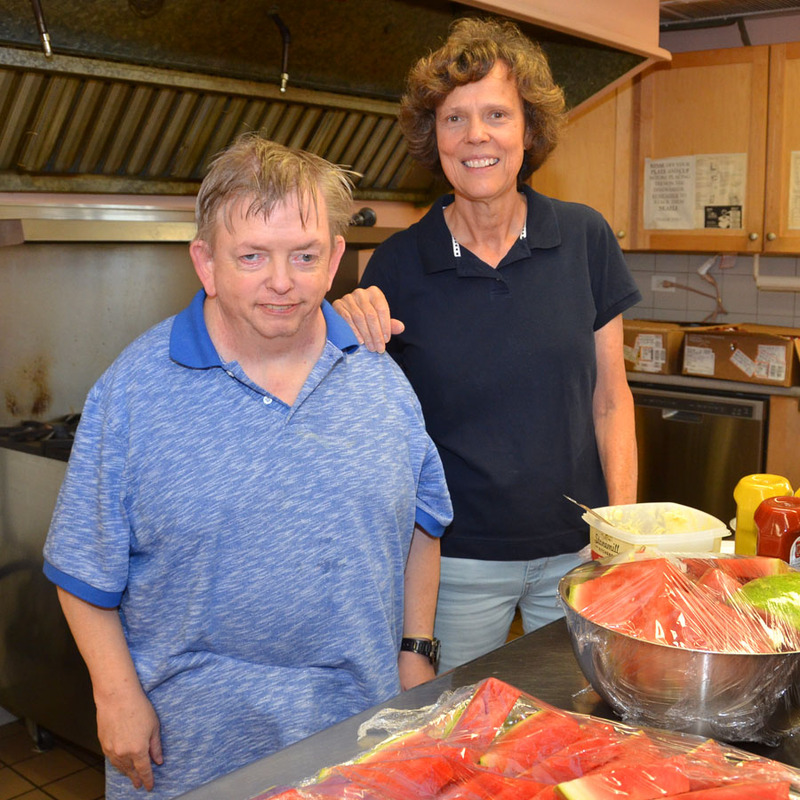 Avenues to Independence provides a variety of flexible day programming options located in the northwest suburbs and Chicago. These include contract packaging jobs, community employment, workforce training, computer training, art programs, and entrepreneurial opportunities. Hire good workers for your company! Avenues offers an array of employment, job placement and developmental training programs. 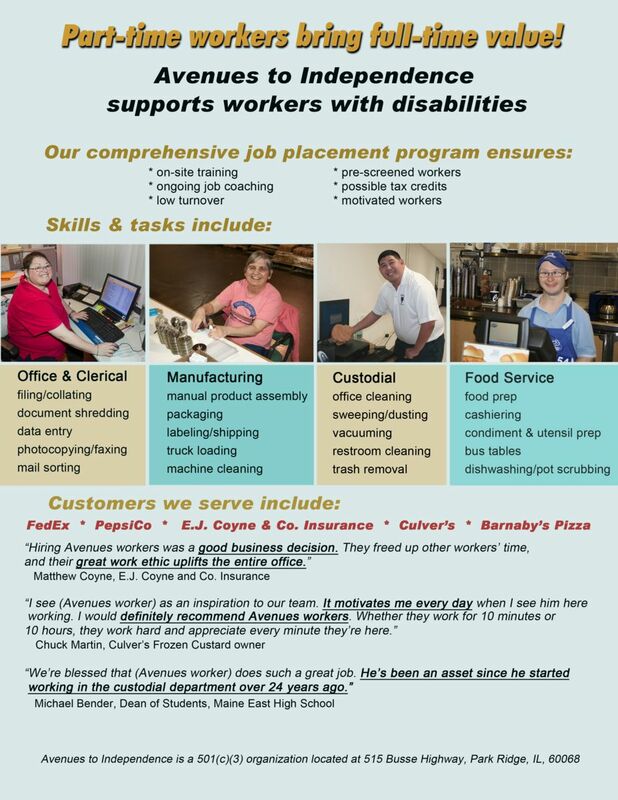 Avenues Contract Packaging operates a modern 48,000 SF work center for adults with developmental disabilities. 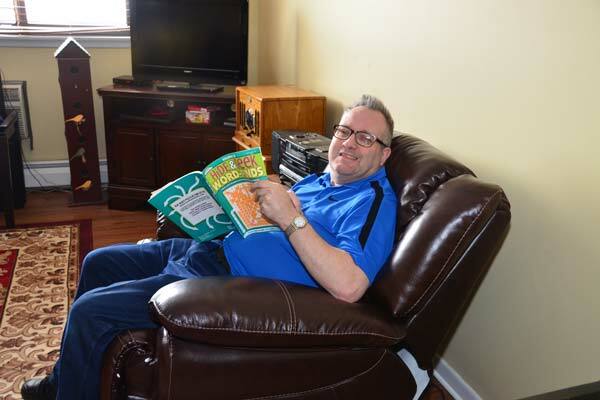 We are located in the Northwest Suburbs of Chicago in Wheeling, Illinois. In satisfying our workers needs for productive paying jobs, we provide the business community with a host of packaging and assembly services. Hidden treasures await. There's always a treasure to be found at the Avenues Resale/Thrift Shoppe located at 7710 Touhy Ave, on the corner of Touhy and Overhill just East of Park Ridge. Sales are great and new items arrive daily. All proceeds from the Shoppe Contribute to Avenues residential and work programs for developmentally disabled adults. Avenues has started a community-based paper recycling program. This year round paper drive is used as a fund-raiser for Avenues activities. Newspaper, Magazines, Catalogs, Junk Mail, Envelopes, Office Paper, Shredded Paper (in plastic bags ok), Notebooks, Paperback Books, Hard Cover Books (covers removed). Please do not include: Plastic, Glass, Metals, Trash, Cardboard! 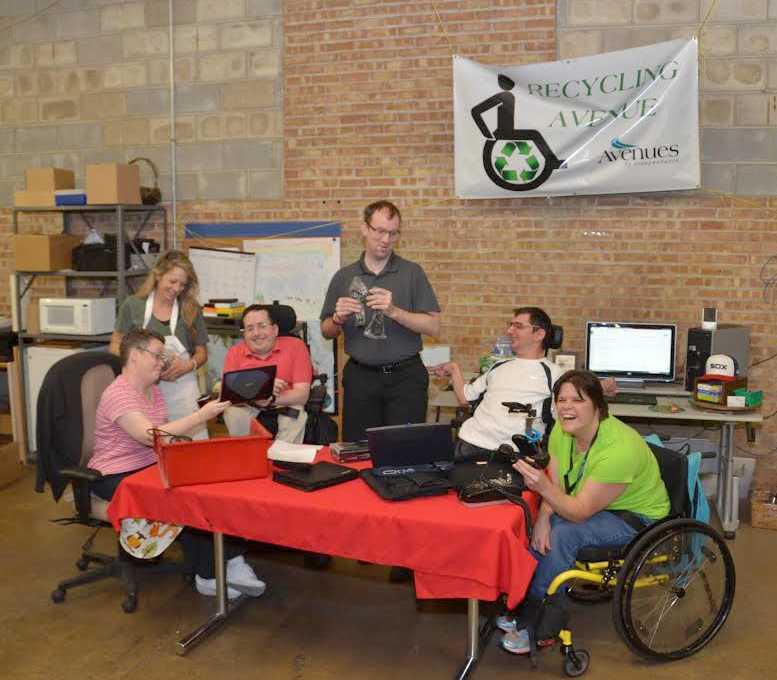 Recycling Avenue is an organization which helps to provide job opportunities for the physically challenged. You can help keep the environment clean by donating items that daily fill our landfills with toxins. Just the chemicals in one cell phone can pollute up to 158,000 gallons of water.